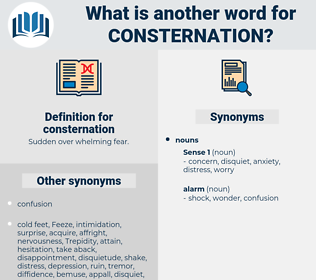 What is another word for consternation? 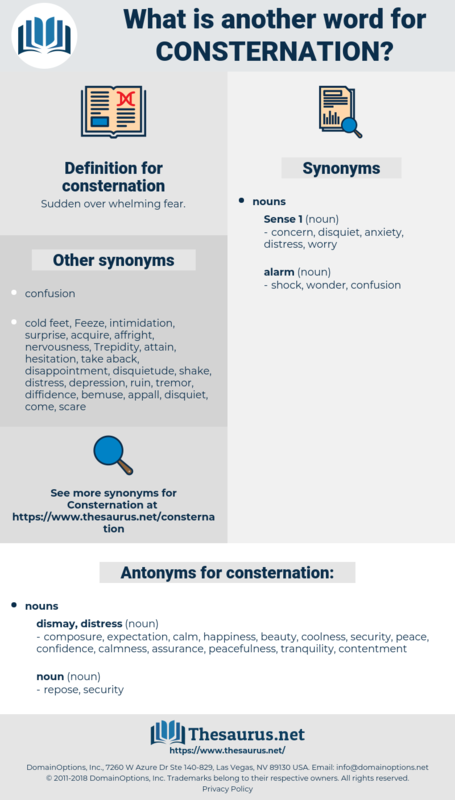 astonishment, amazement, shock, concern, distress, horror, sadness, alarm, surprise, sorrow, regret, disquiet, uneasiness, unease. composure, expectation, calm, happiness, beauty, coolness, security, peace, confidence, calmness, assurance, peacefulness, tranquility, contentment. She hesitated, and almost dropped the tray in her consternation. Surprise and consternation for the moment kept Mrs. Wharton silent.